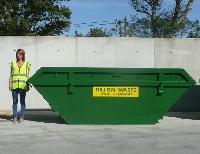 We offer our customers a range of skip sizes for various material types to meet their individual needs. Please contact us on 066 7126327 to discuss your requirements. Please note that we cannot accept hazardous materials e.g asbestos, oil, fridges, fridge freezers and food waste in our skips. Suitable for small household clearouts. 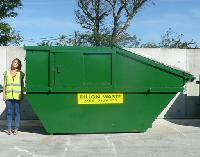 Please note that our 4 cyd skips start from €195 and are dependent on location. Please contact our office to reconfirm skip hire price. Standard size skip that is most commonly used for general home use. Please note that our 8 cyd skips start from €315 and are dependent on location. Please contact our office to reconfirm skip hire price. Open skip suitable for larger D.I.Y. or commercial projects. The closed skip provides increased security. Please note that these 12 cyd skips are not suitable for rubble material. 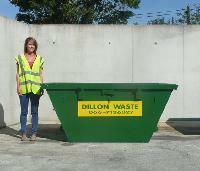 Please note that our 12 cyd skips start from €375 and are dependent on location. Please contact our office to reconfirm skip hire price. Please contact us on 066 7126327 to discuss the pricing structures for our roll on roll off skips. Suitable for larger building sites or developments.